The service has two features: the mPulse tariff and the mPulse website. 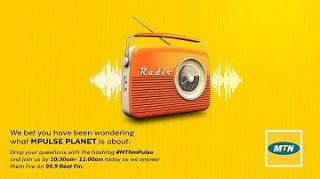 MTN NG who just recently unveil a special prepaid plan dubbed “MTN mPulse” for our adolescents. According to MTN, you have to be between the ages of 9 – 15yrs to qualify for the plan and get up to 1.2GB for just N150 Naira. N200 Birthday Reward: mPulse Customers will be rewarded with a birthday gift of N200 on the day of their birthday as long as their birthday details are captured before the birthday. Free WhatsApp for 7 days every month: Customers on MTN mPulse plan will enjoy 7 days free WhatsApp access upon the first recharge of N100 and above in a calendar month. Bonus on recharge 10MB on N100; 20MB on N200 (7-day bonus validity)- on the first recharge in a calendar week ( 7 days). Parent-Child Link: For ease and convenience, a parent will be able to link a child’s number to her/his number and automatically share a set amount of airtime/data on a weekly/monthly basis. The mPulse website provides resources for primary, junior and senior secondary school students to develop their strengths and passions. It features certified preparation materials and past questions for Common Entrance, JSCE, WAEC, JAMB, Post UME, intellectual games and a wide array of skill development tutorial videos. Q. How do I sign up to the mPulse website? A. Go to www.mtnonline.com/mpulse in your browser • In the Login/Sign Up section, Click the I’m a Student icon or I’m a Parent icon and enter all the information required to register. Q. Will I be charged for joining mPulse website? A. No, sign up to mPulse website is totally free! Q. I’m a student, what do I stand to gain if I join the mPulse website? • Youtube Tutorial videos on wide variety of topics: Technology, Programming, Leadership, Vocational Skills, Entrepreneurship, Language, etc. Q. Do I need to pay for these services? A. Access to the Youtube tutorial, music and sports videos is free (only data charges apply). For the education and game services, you have up to 14 days free trial access, after which you can pay (between N10 to N300) to subscribe for the services. Q. Can I access other YouTube outside the mPulse YouTube content? A. No. The YouTube content on MTN mPulse website have been carefully selected for you, you can only access these content on the website. Q. How can I check my mPulse airtime balance? A. Customer will be able to check their airtime balance by dialling *556#. Q. How do I subscribe to the mPulse weekly and monthly special data bundle plan? • Dial *344# and then, select data bundle of choice from the menu. Q. How do I check my special data bundle balance? Q. Can I access all website with the mPulse special data bundle? A. No, you can only access mPulse Website with the special data bundle.